Northcote Skinny Shelf Unit, White | Great Little Trading Co.
Measurements: 53H x 36W x 36D (cm). 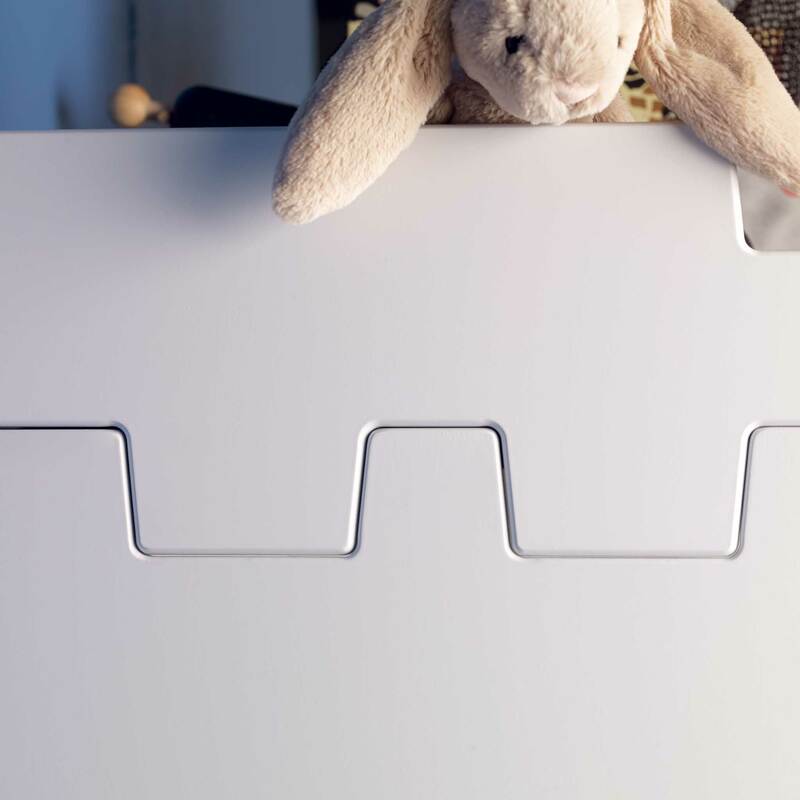 For your child's safety please use our Anti-Tip Furniture Straps with this product. Our Northcote Range allows you to tailor your storage to your space and your needs; the Skinny Range is half the width of our Regular Northcote Storage and the perfect storage solution for awkward corners and tight squeezes. Units are simple to assemble then stack together with other Skinny units. Like all our Northcote storage this unit is made from thick, strong MDF with a durable, painted finish to cope with the rough and tumble of family life. For safety reasons please fit the Anti-Tip Safety Kit supplied with your chosen Northcote Base; we strongly recommend that one safety kit be used for each separate stack of Northcote storage. Includes a single adjustable shelf. 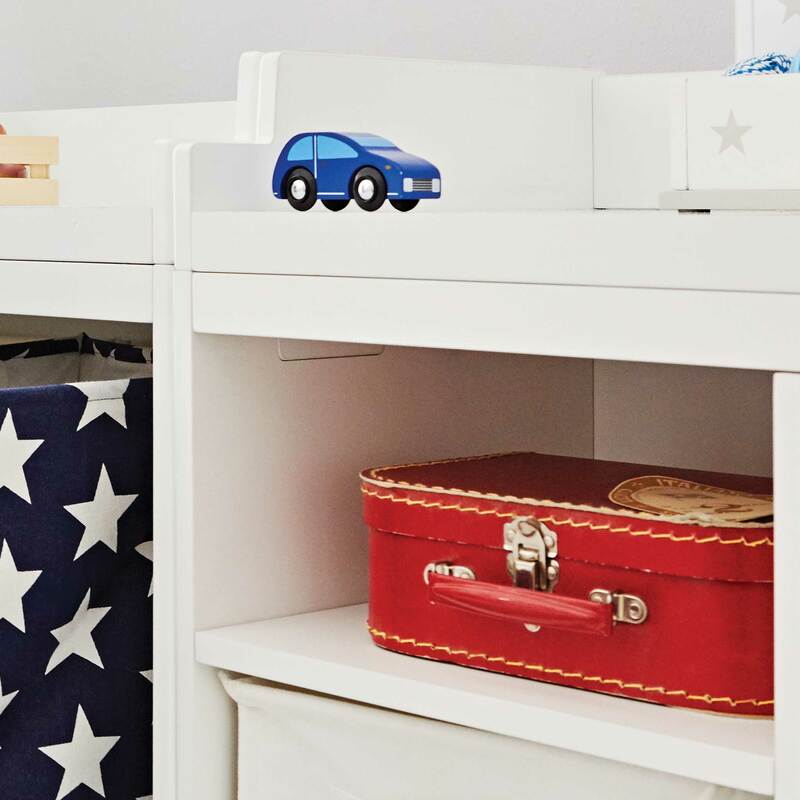 Sandwich it between the Skinny Toy Box Base and the accompanying Top Shelf; stack another Skinny Shelf Unit above or below to form a larger unit. To create a continuous storage system add more Regular, Corner or Skinny Northcote Units alongside. 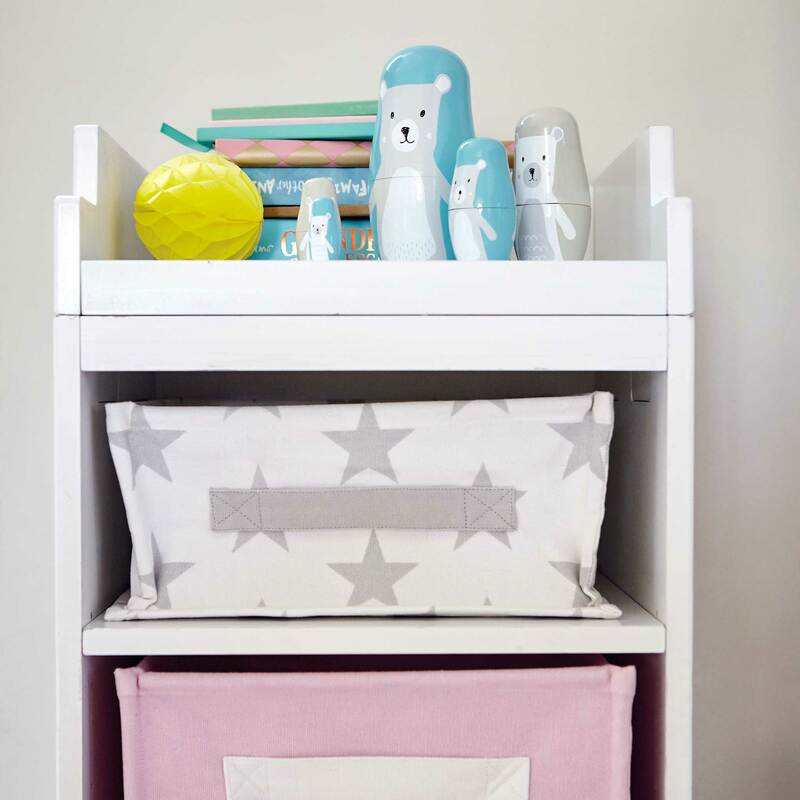 Style your Northcote Storage with storage accessories such as Canvas Cubes, Oilcloth Cubes or Woven Storage Baskets.